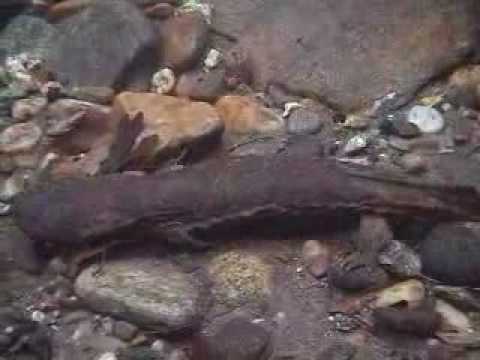 Despite the devilish name, Hellbenders are harmless salamanders. They live in the Ozarks near cool, clean rivers and streams with lots of rocks. Unfortunately, the fresh water species is being harmed by ore and gravel mining, sedimentation and toxic runoff that are ruining its habitat. Other dangers for the survival of Hellbenders include a nasty fungal disease and people capturing them for pets. Hellbenders could go extinct within our lifetimes because of the challenges they face from pollution, habitat loss and capture. As a result, the U.S. Fish and Wildlife Service recently granted the salamanders protection under the Endangered Species Act. While these aquatic salamanders are getting help just in the nick of time, the clock ran out for some Florida wildlife waiting to get on the Endangered Species list. What the Hellbender sounds better than where’s the Hellbender. You can speak up for wildlife and make sure more animals don’t become endangered in the first place.